Our Iconic-Grid Design© has been designed to assist local Councils in achieving best practice Recycling for their area. 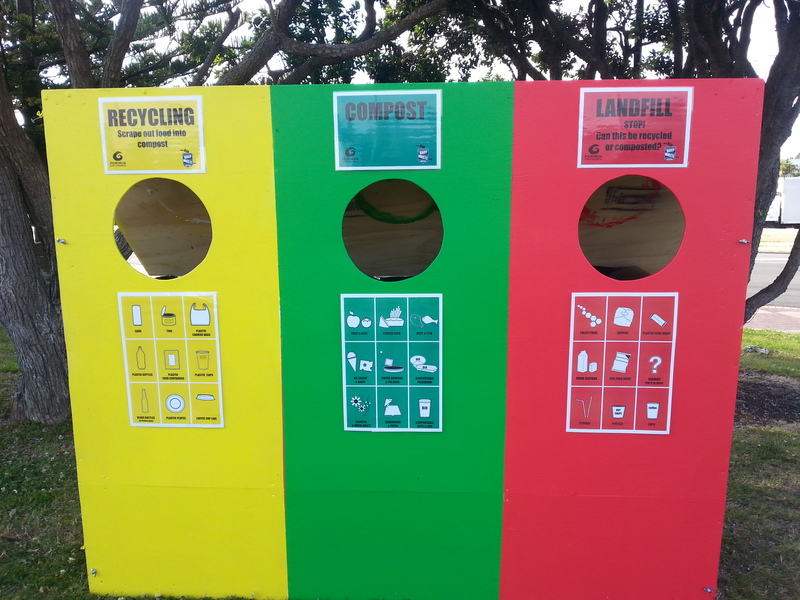 To discuss how we can help with recycling education in your area please email Sharon McIver sharon@ourdailywaste.co.nz or go to our contacts page. Consumers are increasingly choosing to support sustainable businesses, and you can help your customers feel good about choosing you by taking responsibility for your waste and packaging. ODW signage designed for Gap Filler after consultation process. To discuss with us how you can reduce your impact on the environment, please email Sharon McIver sharon@ourdailywaste.co.nz or go to our contacts page. To discuss with us how you can help clean up Aotearoa and work out a package to suit your needs, email Sharon McIver sharon@ourdailywaste.co.nz or go to our contacts page. 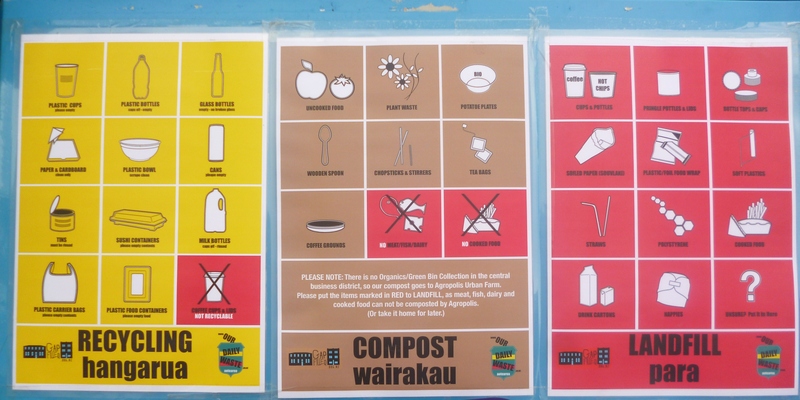 Education is key to achieving any environmental or social change, and Our Daily Waste supports its programmes by offering talks, workshops, and lectures for any organisation wanting to find out more about best practice recycling and waste prevention (free to schools, community groups and iwi in areas where we operate). To book Dr. Sharon McIver please email sharon@ourdailywaste.co.nz or go to Contacts page. Selwyn House School Visit, August 2013. See their 8C Happenings blog for more.